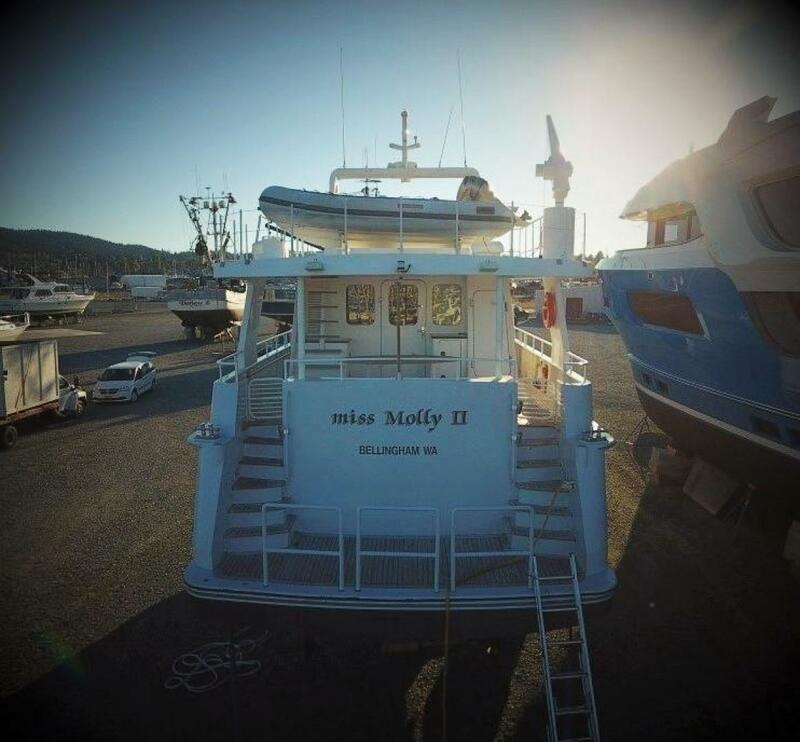 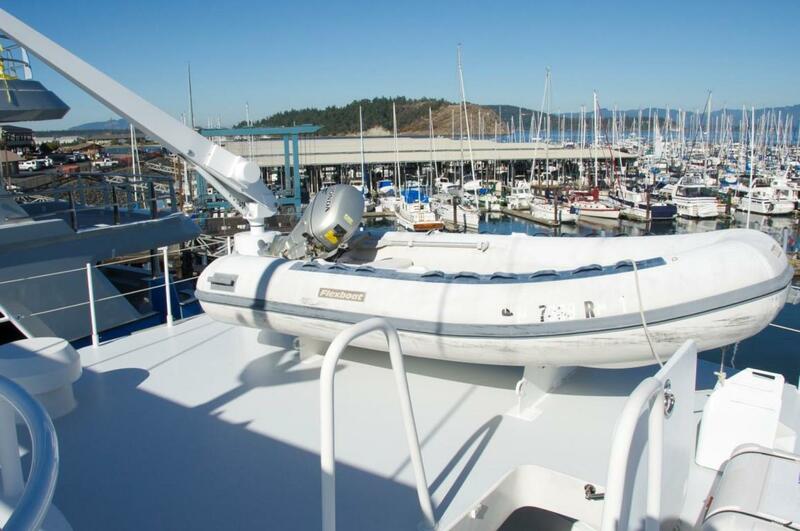 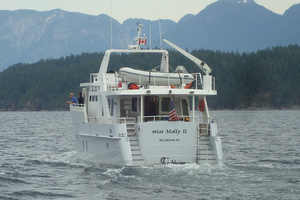 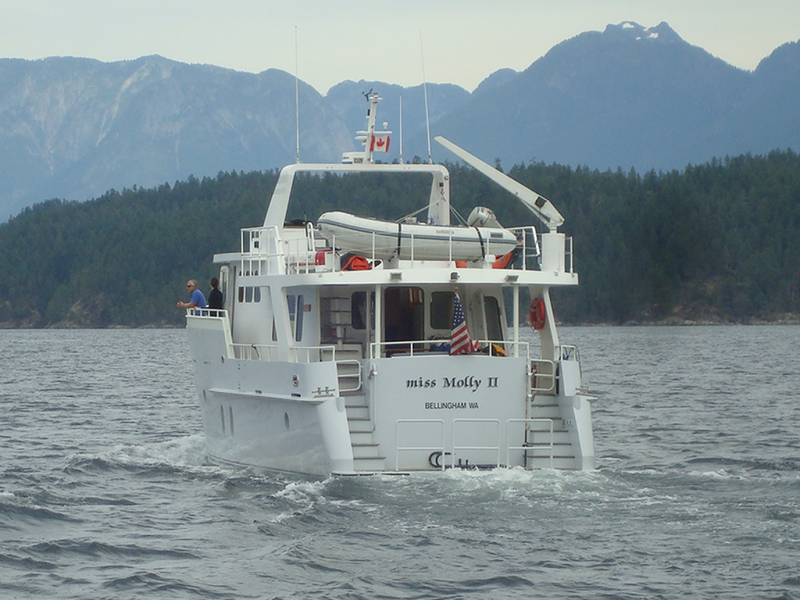 Miss Molly II is an aluminum hulled, long-range, expedition style vessel capable of safely and comfortably taking it's new owners to the far corners of the earth. 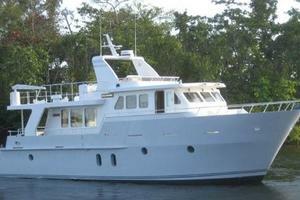 Present owners plans have changed so she is priced to sell quickly. 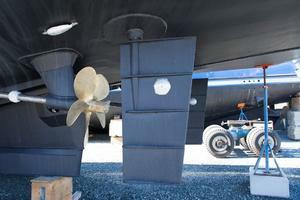 Recent insurance survey results available to serious parties. 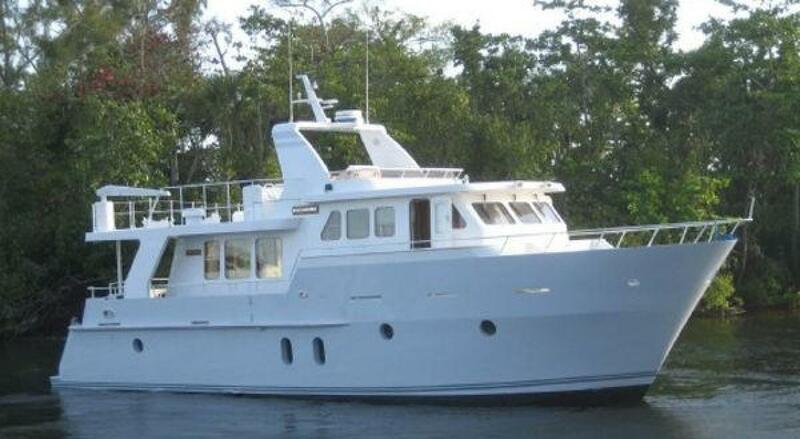 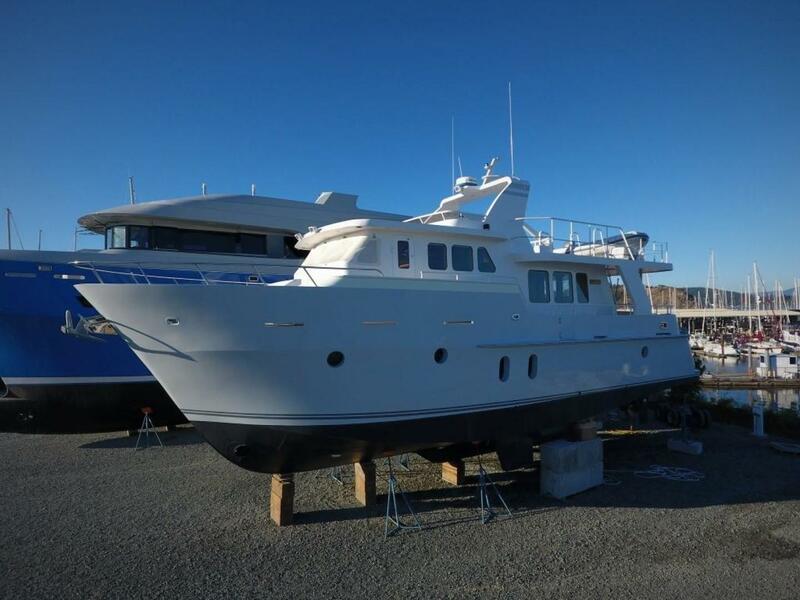 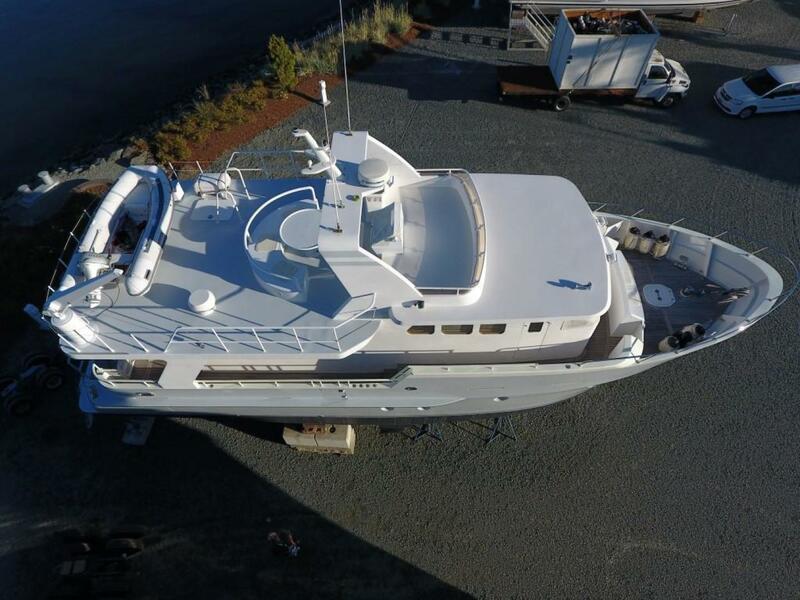 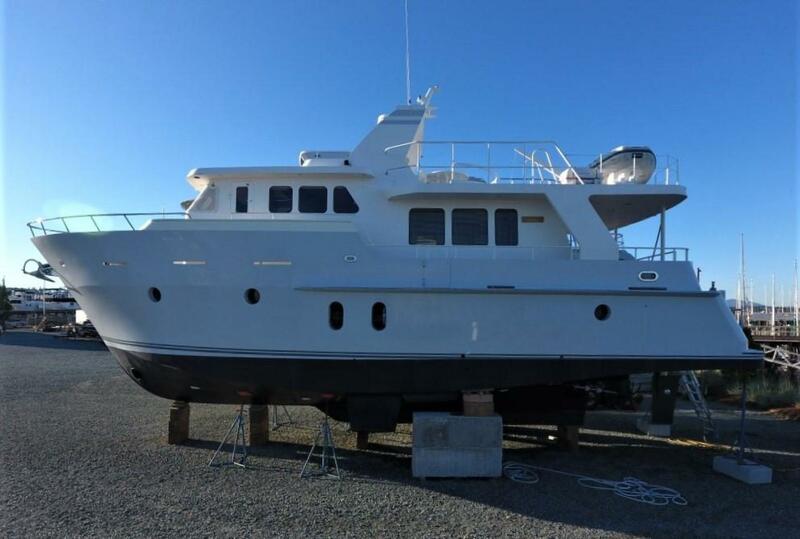 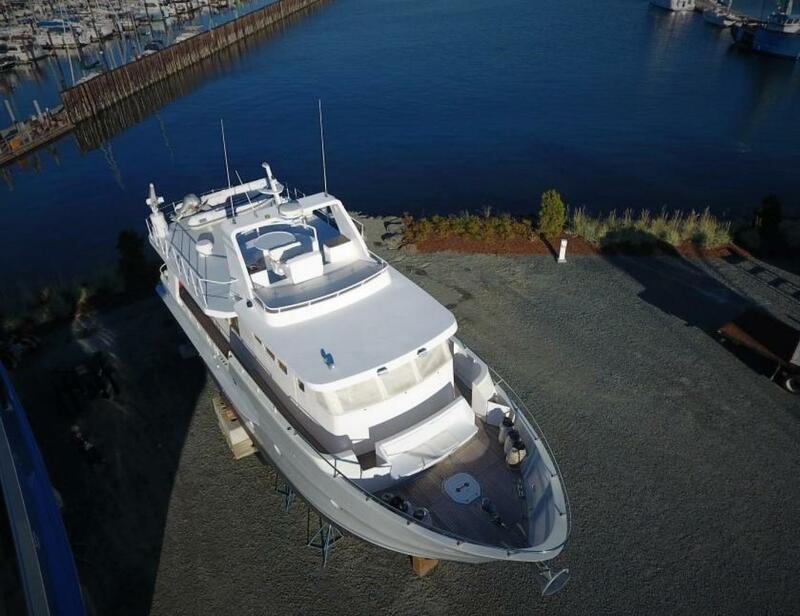 This is a flush deck heavy-constructed all-aluminum 60 foot LRC Trawler maintained in yacht quality tradition by her savvy and knowledgeable owner featuring two guest staterooms port and starboard with a full beam master stateroom and a two bunk crew quarters. 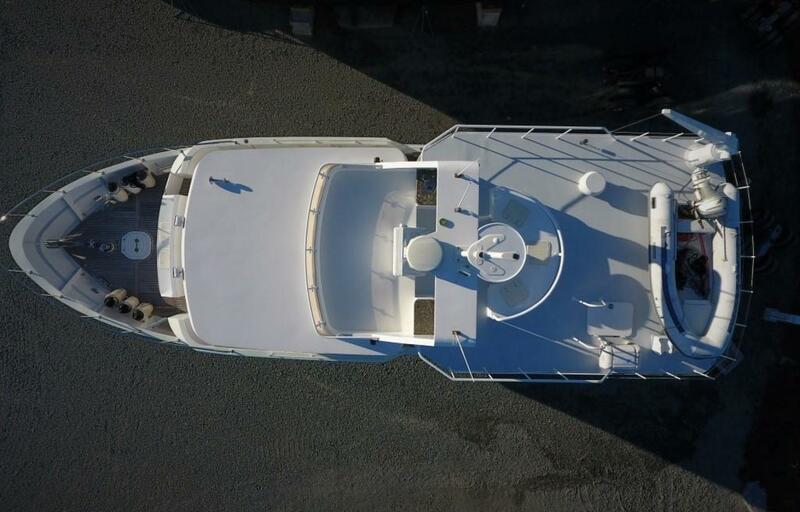 Boarding the vessel is accomplished by stepping aboard the substantial integrated swim platform overlaid with teak fitted with heavy railings and grab rails that provide safe ascension to the covered aft deck from the port and starboard stairwells. 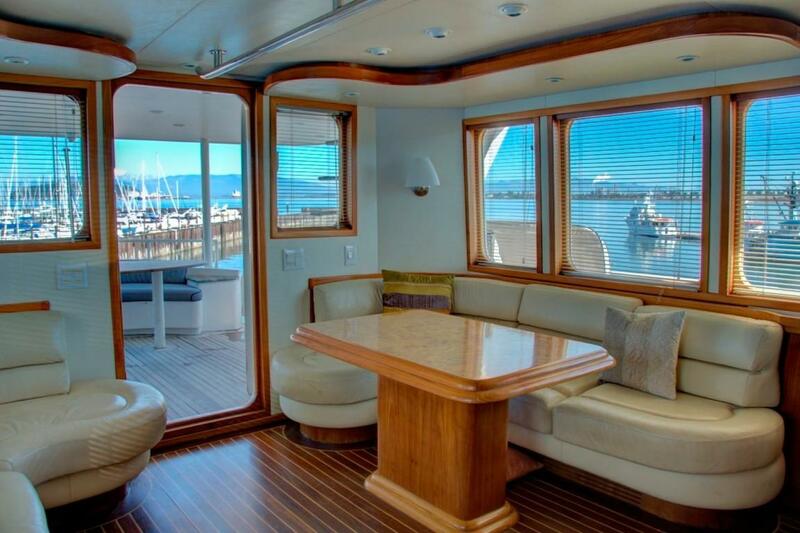 The covered aft deck features a comfortable centerline seating arrangement with a Brazilian hardwood oval table for al fresco dining or cocktails. 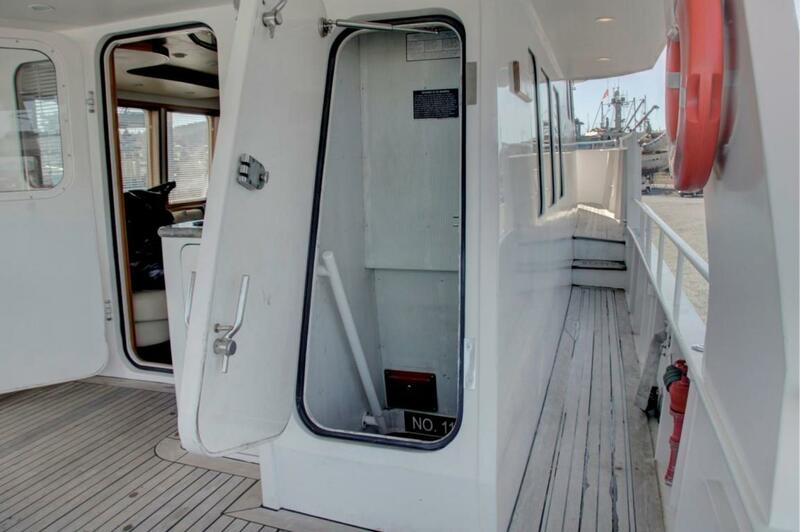 Located to the starboard side of the house is a watertight door that provides access to the below deck crew quarters and the stand-up engine room. 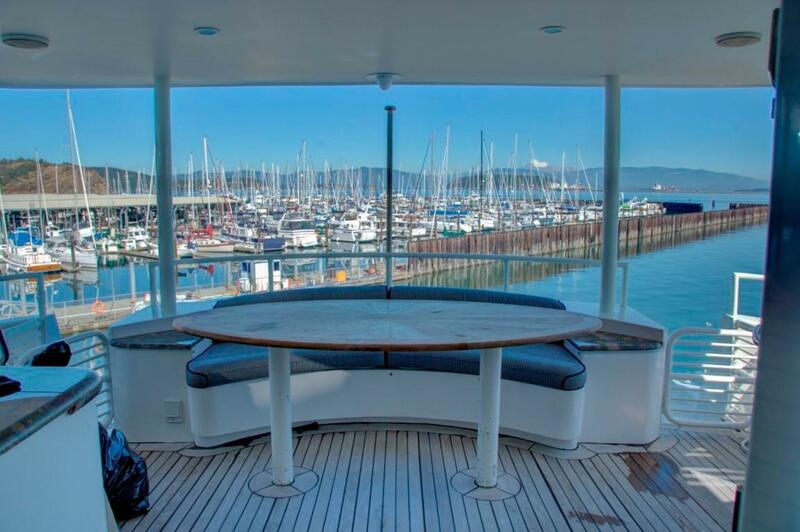 The aft deck, covered side decks and fore-deck feature heavy teak overlay decking while the entire bridge deck features easy-maintenance non-skid polyester paint decking. 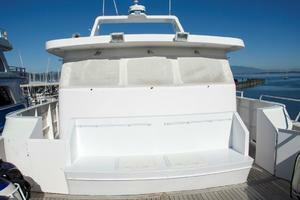 The aft salon entrance and forward pilothouse wing doors are water tight fitted with dog-down fittings. 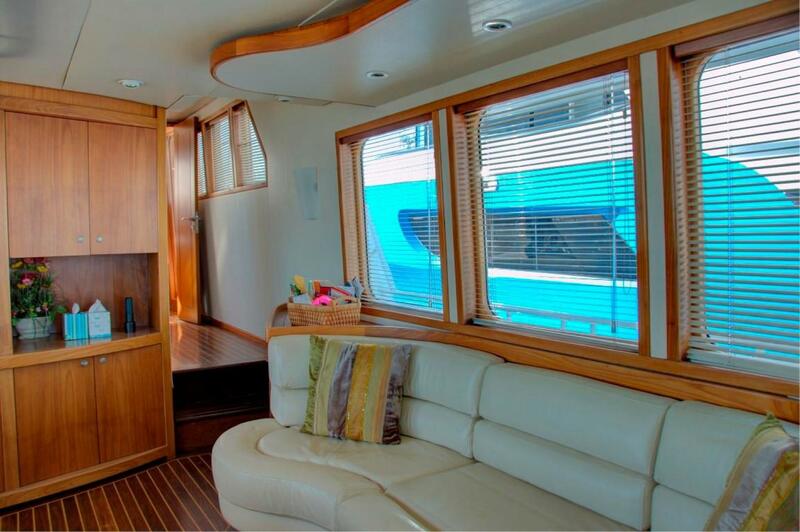 Large windows, Brazilian hardwood and teak and holly cabin sole and comfortable leather sofas port and starboard provide an inviting open cheerful salon with a teak entertainment center forward with built-in book shelves. 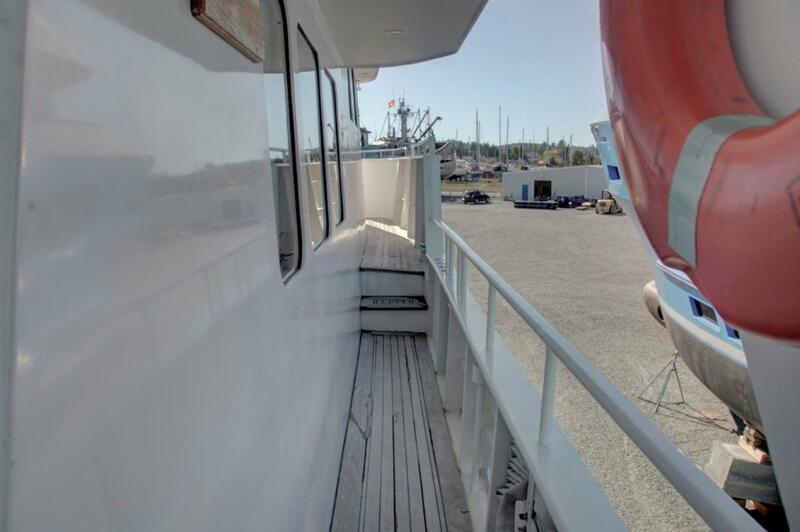 Forward to starboard is a spacious hallway leading to the pilothouse, the spiral stairwell to the staterooms below and entrance to the port side galley. 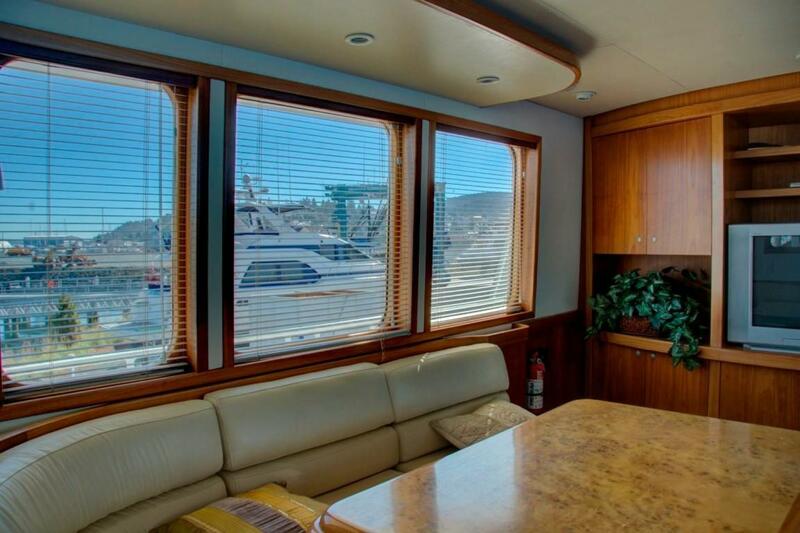 The enclosed pilothouse features excellent visibility through large windows with watertight side access wing doors to the partially covered side-decks sheltered by the overhead flybridge eyebrow. 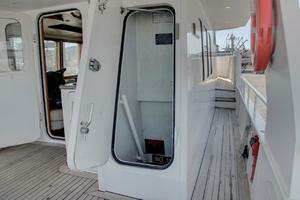 Pilothouse protection and safety is provided by a stoutly fabricated Portuguese Bridge with two port and starboard access doors leading to the fore deck with built-in seating on the center line on the front-facing side of the low bridge. Inside the pilothouse meaningful navigation equipment, marine electronics and communication equipment is professionally clustered near the helm with a large Brazilian hardwood chart table to port. The aft bulkhead of the pilothouse features seating, shelves and cabinets and the AC and DC electrical distribution panels. 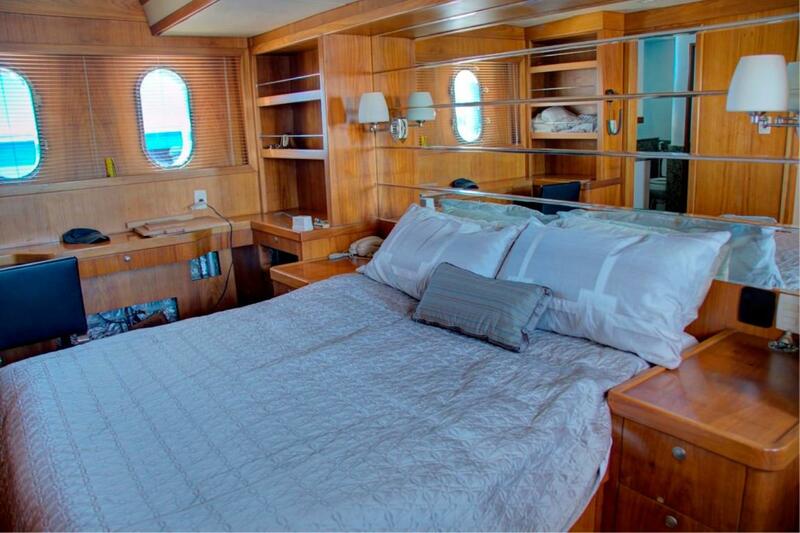 This Inace 60' Buccaneer is a 55 ton displacement vessel featuring a full-width master stateroom fitted with an Island berth with en suite head, 2 guest staterooms with a shared head and a 2-bunk crew quarters (has been temporarily converted to a work room) is located aft of the engine room adjacent to the service lazarette also fitted with a freezer, washer/dryer and access hatch to the covered aft deck. 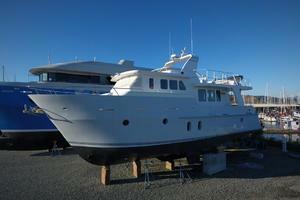 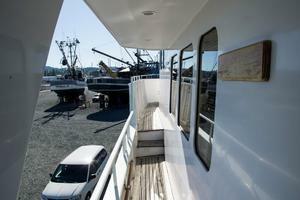 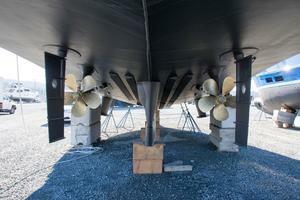 The Owner/Operator may utilize the Crew Quarters/work room as a 4th stateroom. 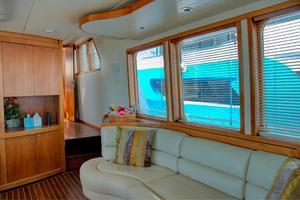 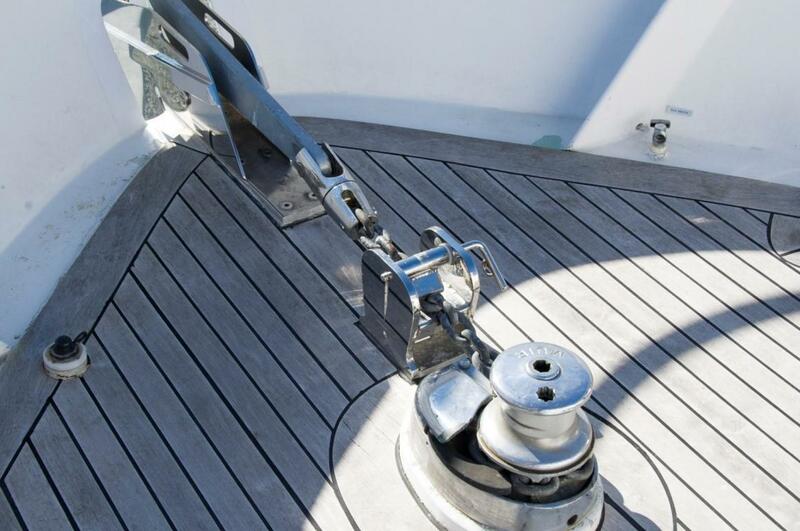 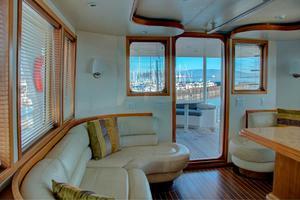 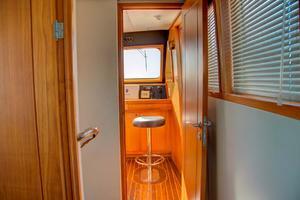 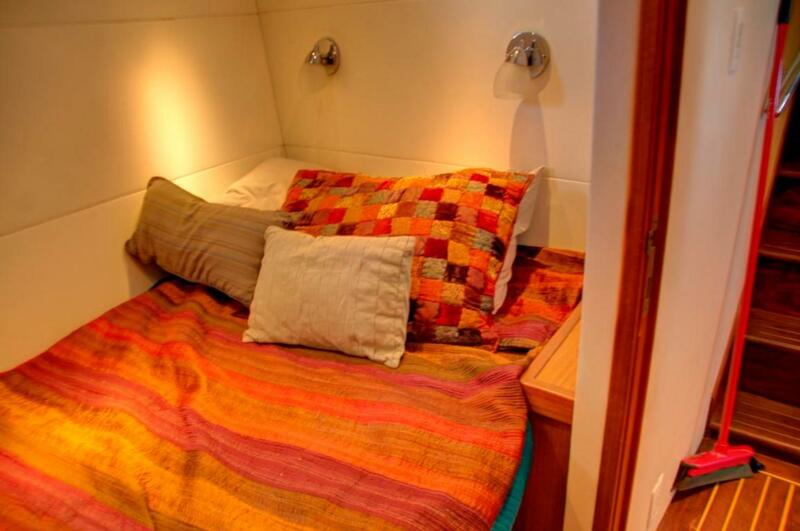 The handsome teak and holly cabin sole flooring creates a wonderful luxurious feeling throughout the boat. 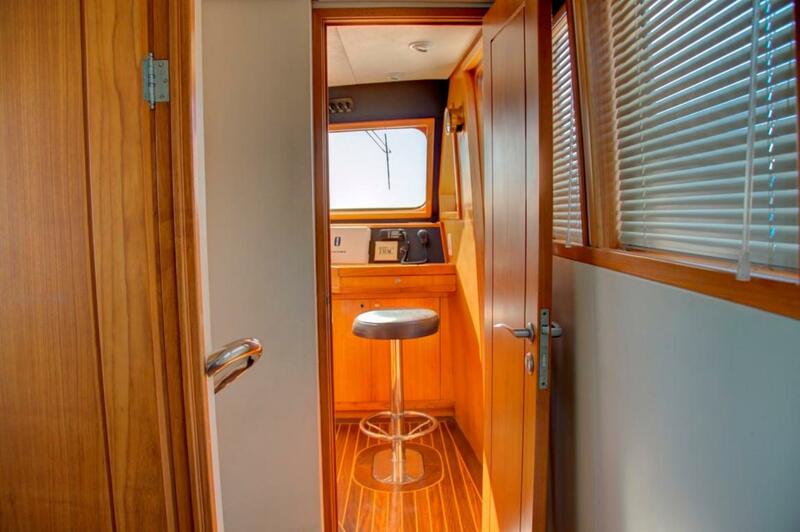 The cabin sole contrasts with the rich leather port and starboard built-in sofas, Brazilian hardwood dining table and cabinetry to produce a serene and comfortable atmosphere. 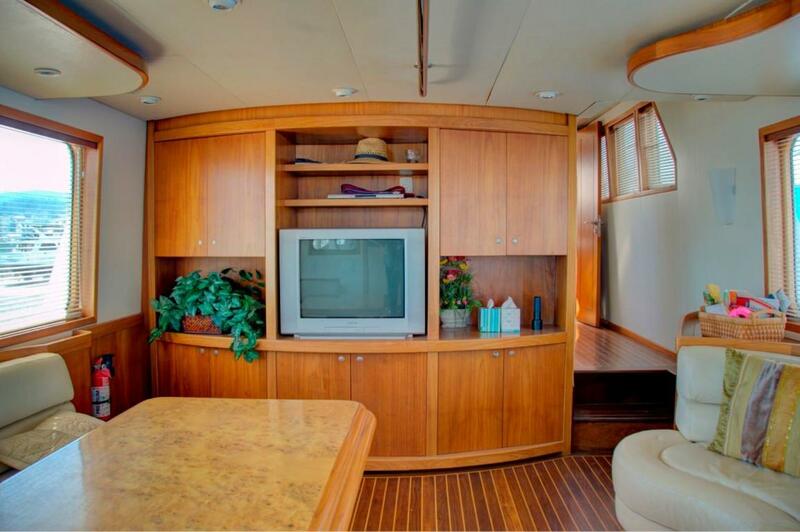 Forward in the salon are Brazilian hardwood cabinets, shelving and entertainment center. 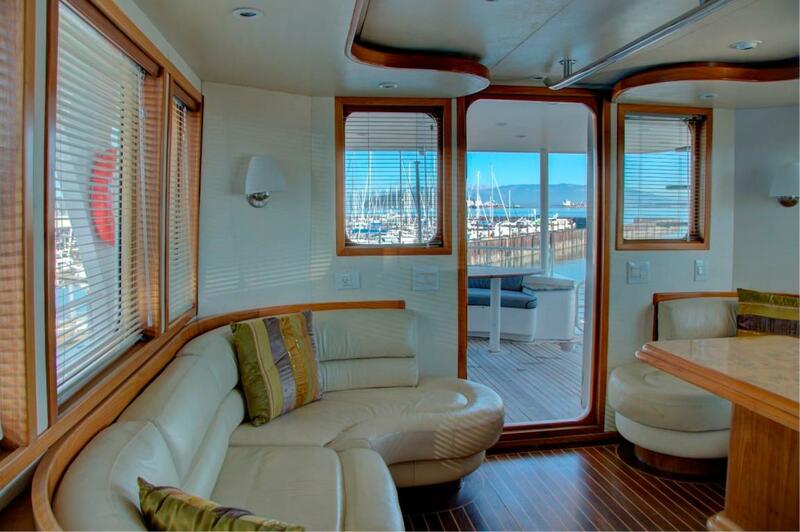 The large windows with wood trim enhance the idea and feeling of openness. 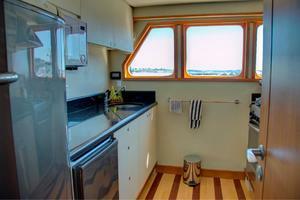 cabinetry and storage accented with broad Brazilian hardwood galley sole planking. 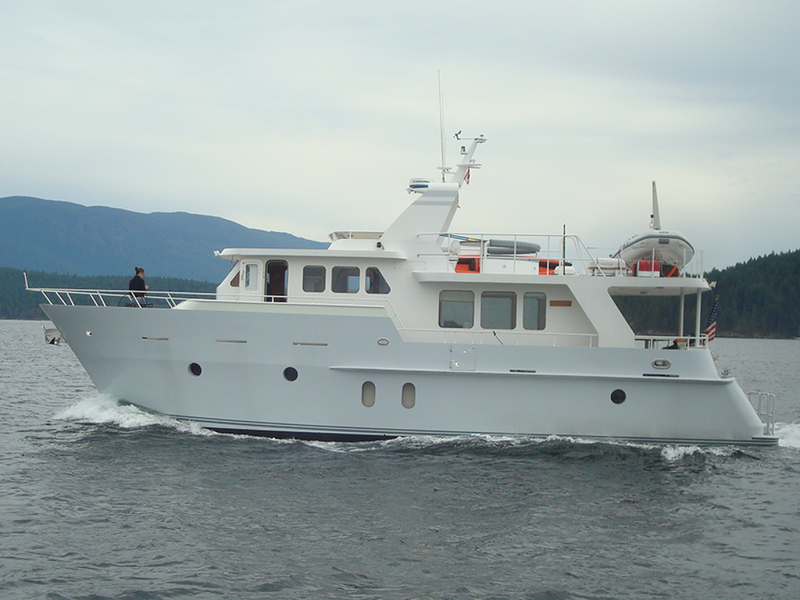 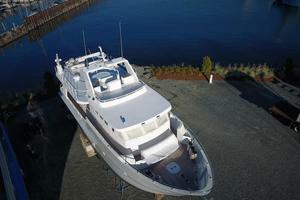 The pilothouse is the command center for the serious Long Range Cruising enthusiasts. 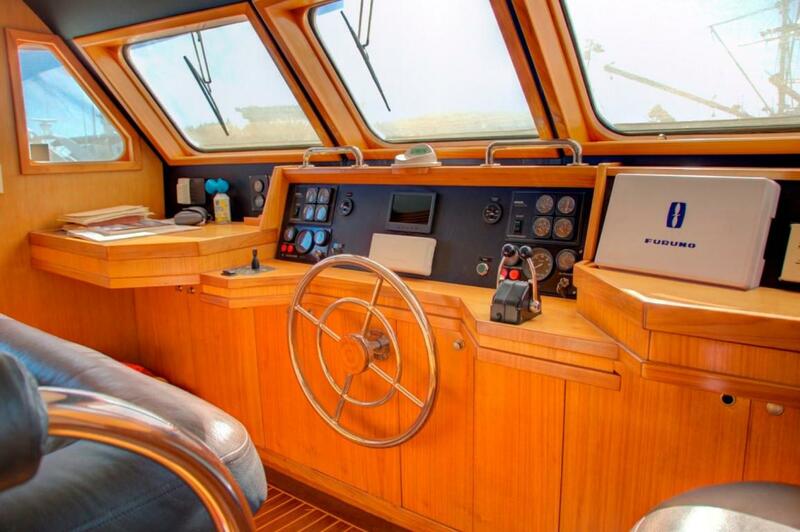 Excellent visibility and well-designed ergonomic placements of navigation equipment and communications electronics provide the practical function any savvy sailor requires of a craft capable of making long-distance passages in safety and comfort for all aboard. 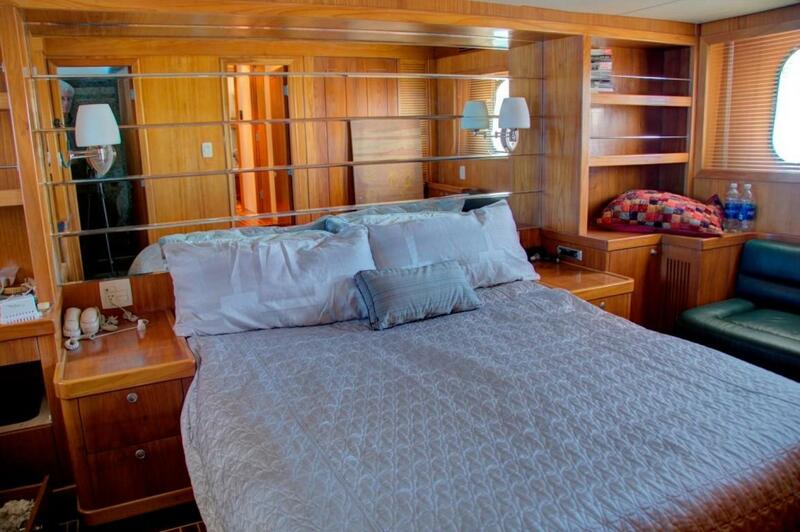 The full-beam Master Stateroom features a queen Island Berth mid-ship with elegant Brazilian hardwood cabinetry, numerous shelving, a settee and large aft closet to port with a built-in desk, VHF Radio and shelves to starboard. Stainless Steel Port Lights provide natural light and ventilation to the stateroom. 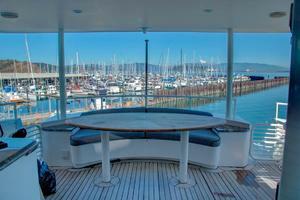 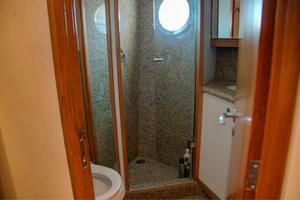 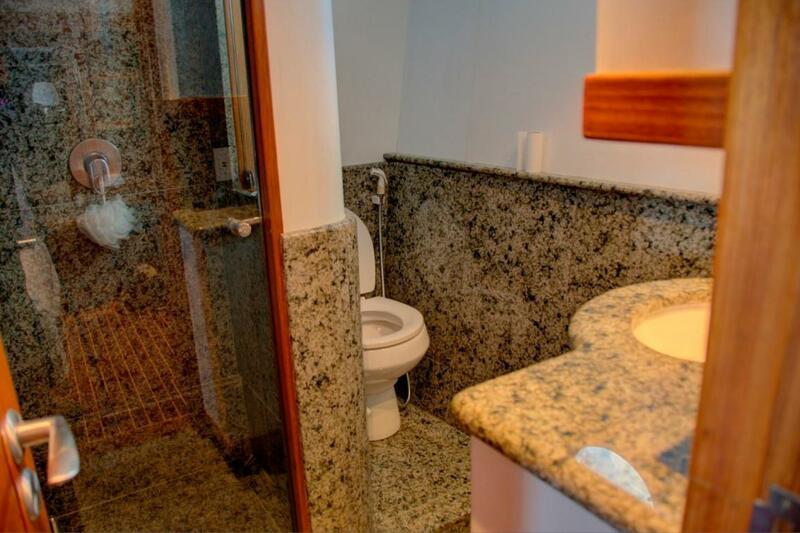 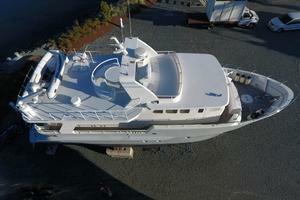 Aft to port is the en suite head lined with marble floors and walls and features an enclosed glass shower. 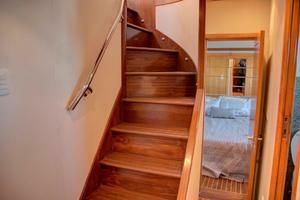 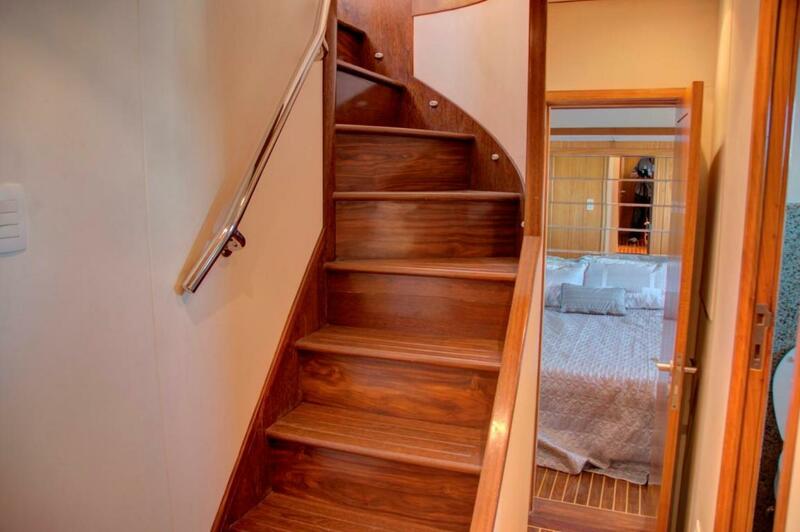 The two guest staterooms are located forward of the stairwell landing. 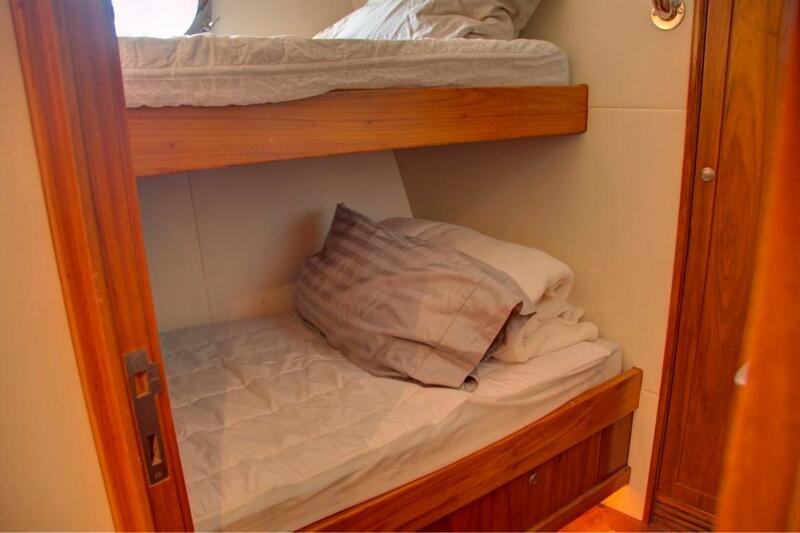 Each stateroom has hanging lockers forward with storage drawers beneath the lower berths. The smaller port stateroom features a double lower berth with a single upper berth. 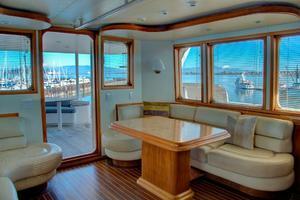 The opposite stateroom features a VIP berth only. 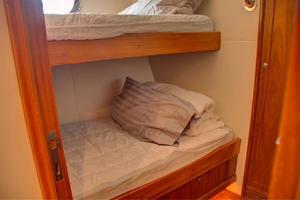 The head is shared between the two guest staterooms. 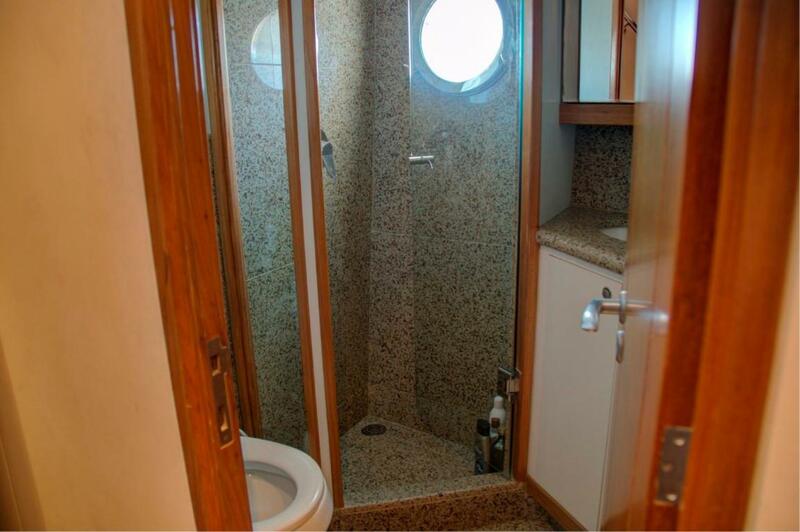 Crew Quarters/Potential 4th Stateroom: Crew Quarters are located aft of the engine room featuring upper and lower berths with a separate head. 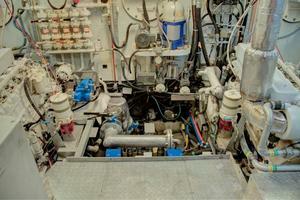 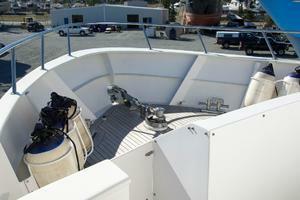 Crew access is from the engine room or the aft deck hatch. 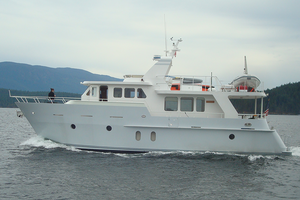 The Flybridge layout received extensive redesign and refit in 2006, which provided a more practical and immensely more comfortable arrangement from the forward windscreen aft to the radar arch. 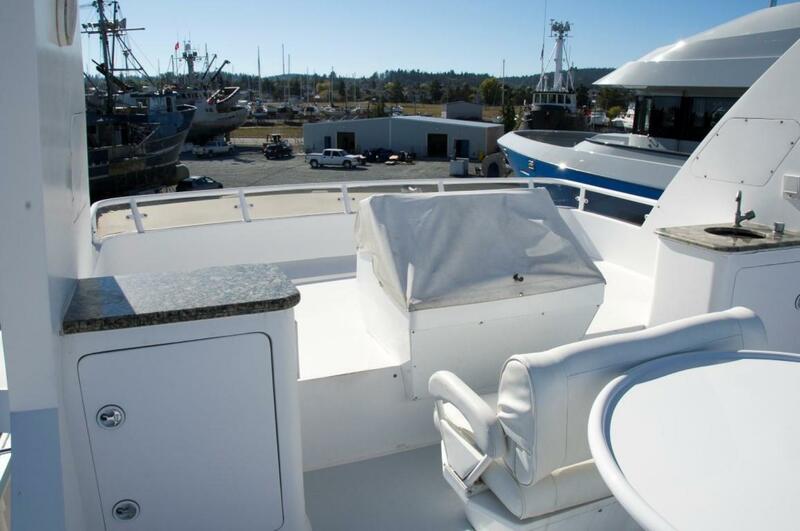 The new aluminum center line helm console is surrounded by lounging cushions and features a steering Joy Stick, Bow Thruster Jog Stick, a Furuno Navnet GPS/Radar monitor, Furuno Autopilot, Icom VHF Radio, ZF shift controls and twin Deutz engine gauge display panels. 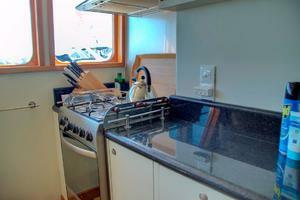 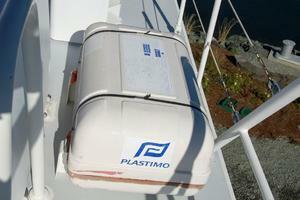 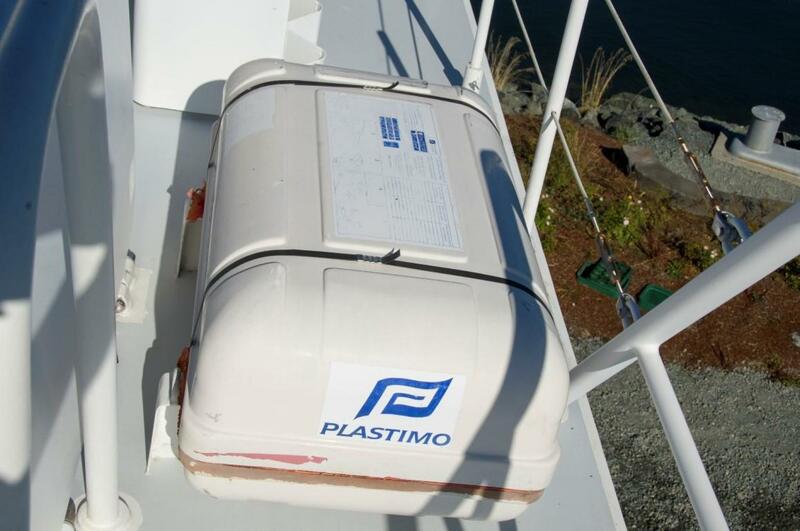 The new port cabinet stores the propane tank while the starboard cabinet is fitted with a sink and also stores gear. Aft of the helm seat is a large circular settee with a round marble pedestal table. The radar arch overhead ties the entire arrangement together. 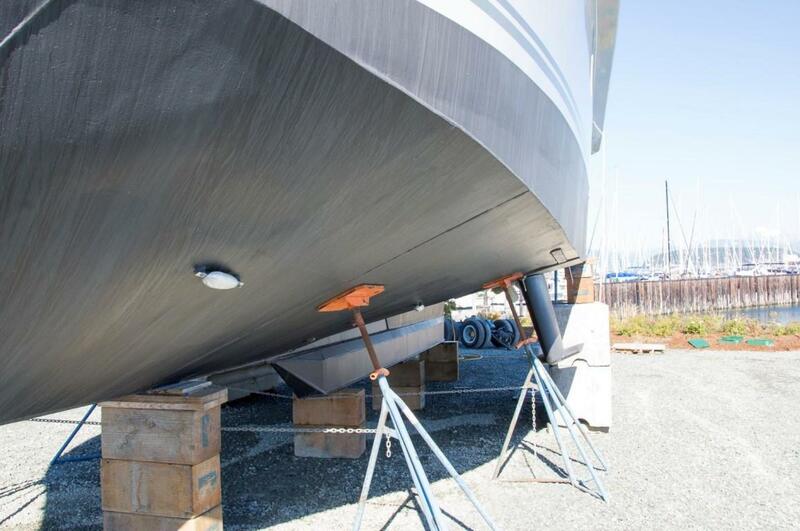 Flybridge access is via ladder from the aft deck to port. 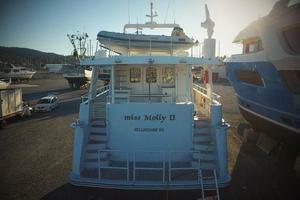 The 1,200 lbs. 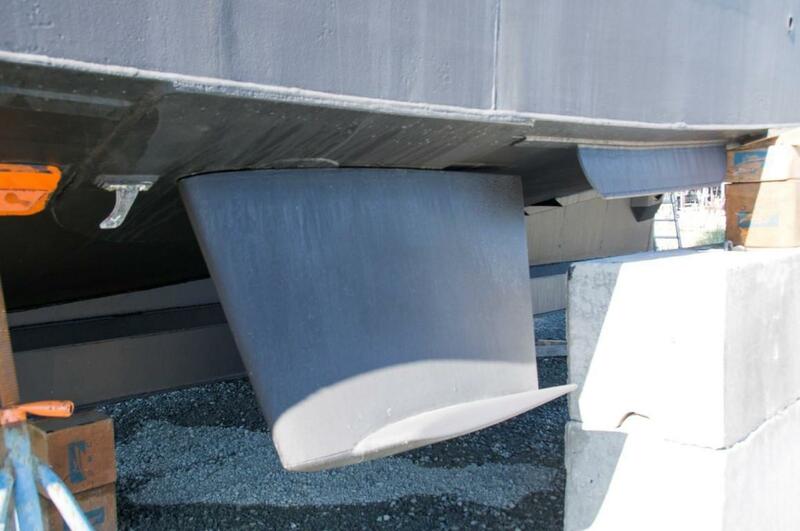 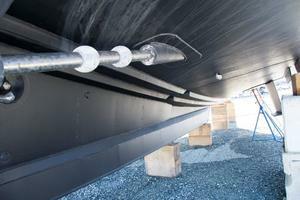 electric davit is located aft on the bridge deck to starboard with deck chocks designed to carry a tender athwartships. 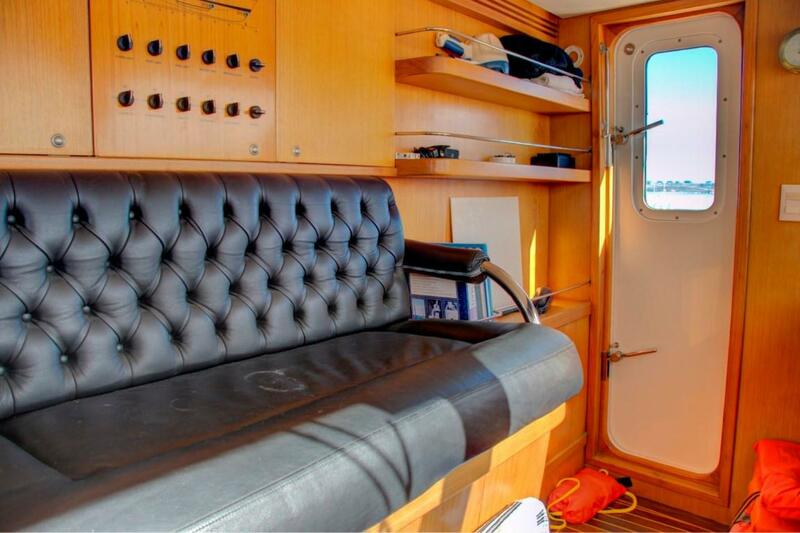 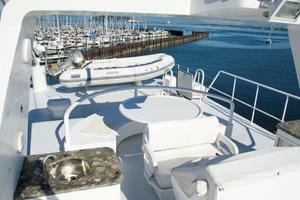 The large hinged flybridge deck hatch provides for aft deck relief from inclement weather. 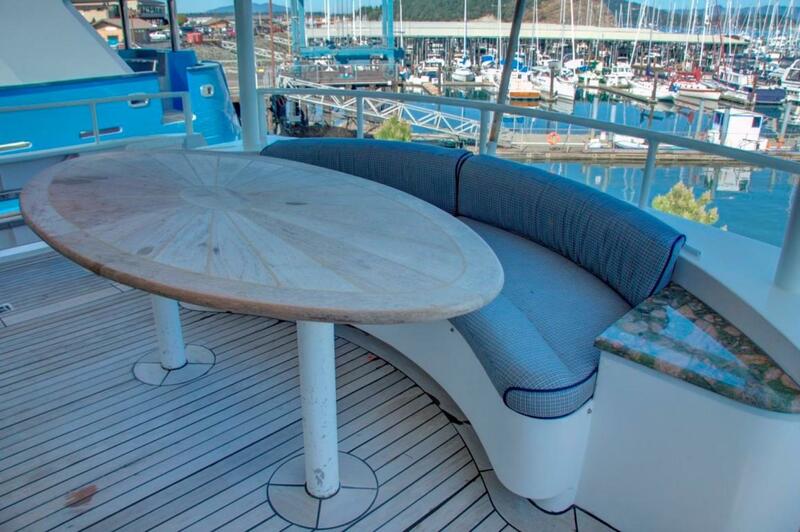 The covered teak aft deck features circular lounge seating with a Brazilian hardwood inlaid oval table. 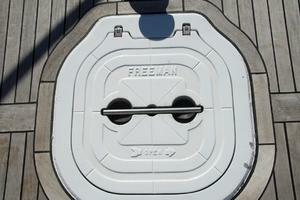 Stairwells port and starboard lead down to the large integrated swim platform with teak overlay. 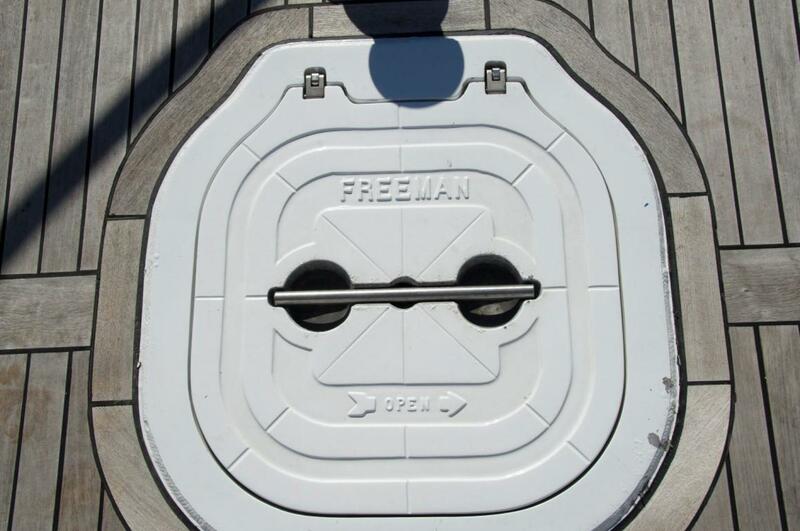 Storage lockers are located to port and starboard of the salon entrance door while the stairway to the flybridge is to port. 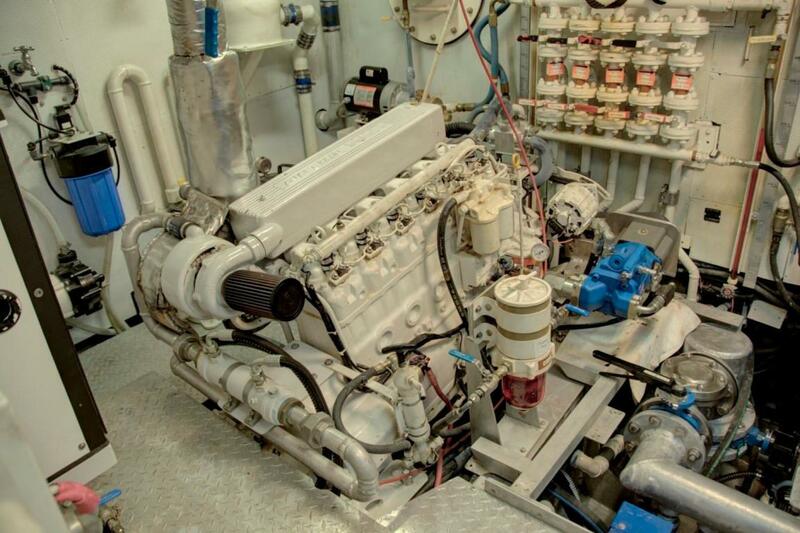 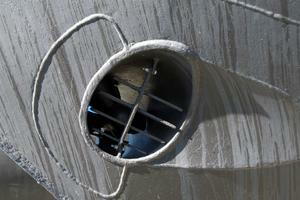 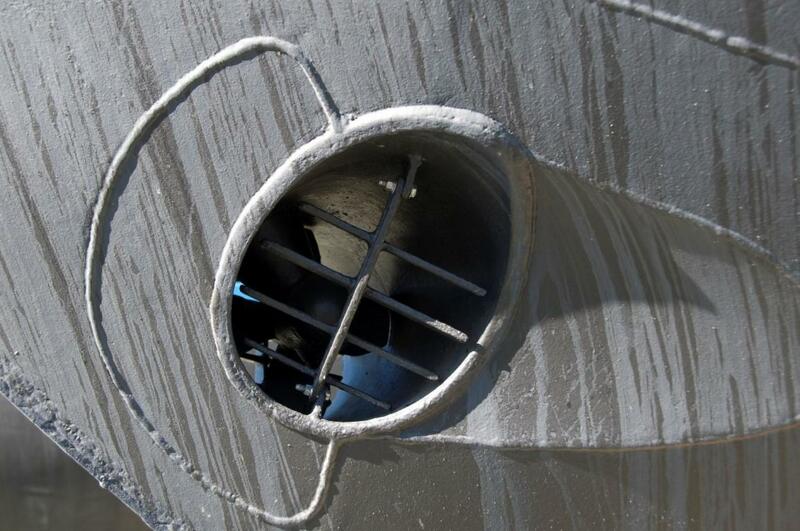 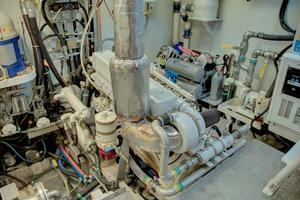 Engine room access is to starboard through a watertight door or through a large starboard aft deck hatch. The swim platform, aft deck, side decks and fore deck are fitted with heavy teak overlay for safety and beauty. 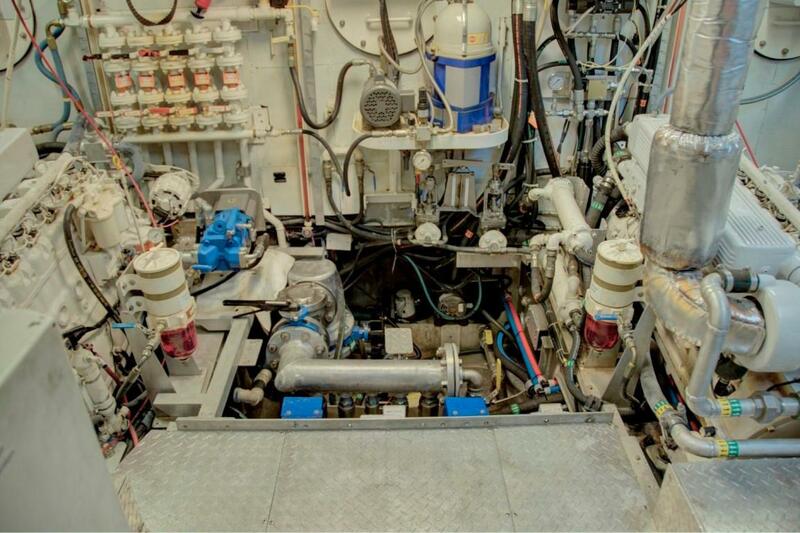 The spacious engine room with stand-up headroom features easy access to all machinery, pumps, equipment, fuel manifolds and tankage. 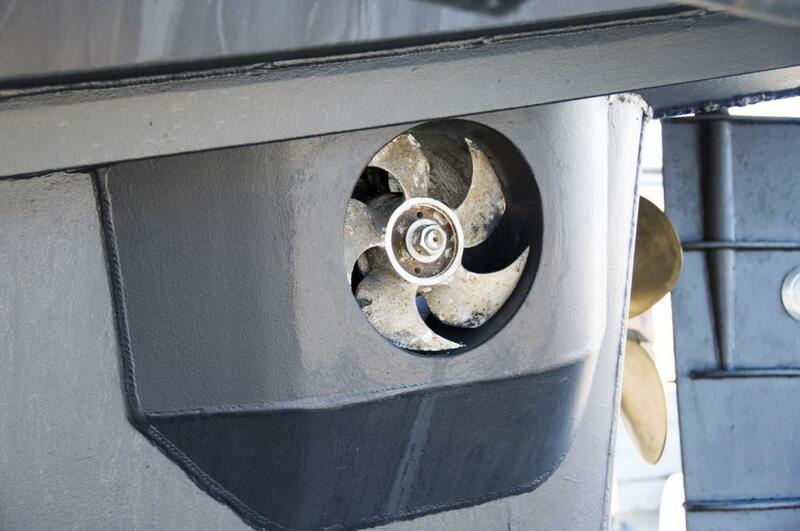 The fuel tanks are affixed athwartships across the beam of the engine room and are fitted with sight gauges and manifolds.